Septic Tank Maintenance – Are You Doing Enough to Protect System? When it comes to Septic Tank Service, most homeowners rely upon periodic pump outs. That is the beginning and end of their septic tank maintenance regimen. 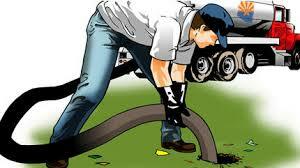 When the system slows down or becomes problematic, we initial the septic contractor and they come pump out the system. Problem Solved….Right? Wrong. The reality is that your system needs much more attention that a quick pumping every 3-5 years. There is a guaranteed way to keep your Septic System Working Perfectly. In order for your to properly maintain your septic system, you must first understand your septic system and how it works. Septic Systems rely upon naturally occurring bacteria from your waste. This bacteria and enzymes flourish in your septic tank, where it is able to digest and breakdown the solids waste into liquid. This liquid is then leached through the drain lines and out into the drain field. If the bacteria levels in your tank begin to drop, this process can quickly become a potential financial disaster. If the solid waste is not effectively liquefied, then particles of waste can make their way out into the drain field. These particles of waste will build up in the piping and especially at the soil line. This build up quickly restricts drainage and leads to drain field failure. A problem that can cost you anywhere between $4, 000 and $20,000. Proper Septic Tank Maintenance begins by understanding that Bacteria is Everything. Pay attention to the household cleaners you use, are they designed to kill germs? Do you use anti bacterial hand soap? Do you clean with bleach, other sterilizing cleaners? Your laundry detergent and your dish washing detergent are both designed to kill bacteria and leave your clothes and dishes clean and germ free. But what effect are these cleaners having on your septic system’s bacteria levels. The answer…they are killing your septic bacteria. It is not likely that you can completely avoid these items. In fact, keeping your family and home germ free is extremely important. But you need to be aware of the negative affect you are having on your septic system and take steps to give your system proper septic tank service. Having your septic tank pumped, will not fix the bacteria kill off, in fact it will only further problem. Removing the solid waste from which the bacteria comes from further reduces the naturally occurring bacteria. While pumping every 2-3 years is mandated in many counties, pumping alone does not protect your septic system and the expense of replacing your drain field. Septic Tank Maintenance starts with the steps you take by yourself each and every month. If you know that you are killing off more bacteria each day then you putting into the system, you need to correct it. You can start by trying to reduce the amount of bleach and other harsh cleaners that go down the drains and into your system. This will help but not solve the problem completely. Septic Tank Additives are an affordable and critical step for septic tank maintenance service. By taking the time to add septic bacteria supplements into your system each month, you can offset the bacteria kill off and maintain proper septic bacteria levels within your tank. The cost of these treatments is minimal, with many purchase options costing only a few dollars a month. Much better than 10k on a new drain field, don’t you think? 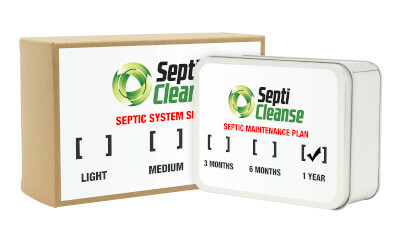 What Septic Tank Maintenance Product does the trick? We Firmly believe that our granules of high-powered bacteria in both the “Shock formula” and the “maintenance packs” are the ultimate way for a property owner to Rescue a failing septic system, and also to ensure that their functioning system Remains that way, and continues to perform well. Take a look at our “What do I need to buy” page, to figure out which option is best for YOUR septic system. While Septic Tank Service is something you will always have to maintain and practice, it does not have to be so risky. Don’t just rely on pumping the tank every few years. Take steps each and every month to preserve your septic bacteria and you can prolong the life of your septic system for years and years.